They’re everywhere, air freshener trees in varied scents and themes. You pick it up after your car wash to freshen up the interior but where are you supposed to hang that thing? If you drive in Virginia and are tempted to hang it from your rear-view mirror, think again, unless you want to be stopped by police and given a ticket (or worse). In Virginia, according to Virginia Code 46.2-1054 “[i]t shall be unlawful for any person to drive a motor vehicle on the highway in the Commonwealth with any object or objects, other than a rear view mirror, sun visor or other equipment of the motor vehicle approved by the Superintendent, suspended from any part of the motor vehicle in such a manner as to obstruct the driver’s clear view of the highway through the windshield, the front side windows, or the rear window or to alter a passenger-carrying vehicle in such a manner as to obstruct the driver’s view through the windshield.” Emphasis added. If you hang anything from your rear-view mirror that obstructs the driver’s view you can be stopped by a police officer and given a citation for driving with an obstructed view. But what about your graduation tassels, fuzzy dice, or handicap parking pass? All of these would likely give the police reason enough to stop your car. In Mason v. Commonwealth, 219 Va. 362 (2016), the Supreme Court of Virginia held that a three inch by five inch parking pass hanging from the rear-view mirror justified the police stopping a vehicle. In Freeman v. Commonwealth, 65 Va. App. 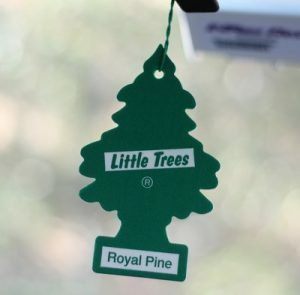 407 (2015), the Court of Appeals of Virginia held it was reasonable for an officer to stop a vehicle where it appeared to the officer there were two or three air fresheners clumped together hanging from the rear-view mirror. So what hanging items amount to obstructing the driver’s view? Under these recent decisions it’s safe to say almost anything hanging from the rear-view mirror. Police stops based on the obstructed view law have been challenged in court and on appeal on the basis the stops are unreasonable seizures under the 4th Amendment and that the obstructed view law is unconstitutionally vague (what’s permitted? what’s not?). So far, these legal challenges have been unsuccessful. One frequently raised concern is discriminatory enforcement. 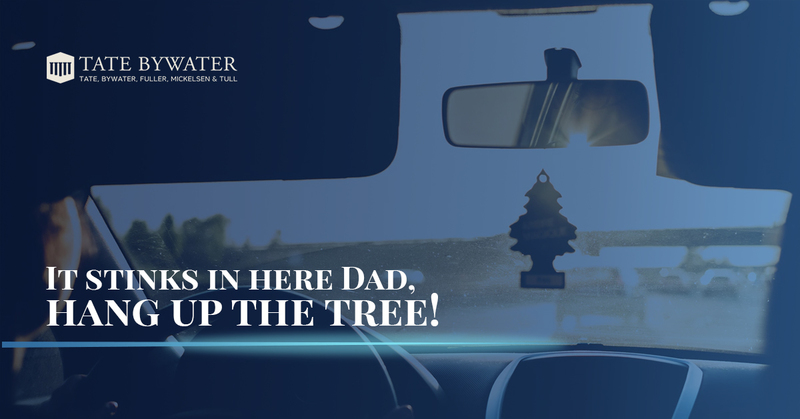 Often an officer may ignore your hanging tree but if she wants to stop your vehicle based on suspicion, however unfounded, an air freshener hanging from your rear-view mirror will give her reason enough to do so. Judge Katchmark, a Chesapeake General District Court judge reasoned “[w]ell-meaning” police officers patrolling high-crime areas might conduct more frequent traffic stops in an effort to reduce crime. But that could expose innocent citizens to unnecessary stops because of where they live, leaving a well-meaning citizen in a courtroom or the side of the road frustrated and confused by how his government can be so unfair to him and people like him.” Unfortunately, for fresh Little Trees ® lovers everywhere, Judge Katchmark’s reasoning has not carried the day. It’s important to remember once your vehicle is stopped by the police you are open to further investigation from the officer, particularly to any items in plain view or plain smell of the officer. So unless you want to see those flashing lights behind you, it’s probably time to take down your air freshener trees, parking passes (while driving), tassels, beads, and by all means your fuzzy dice!